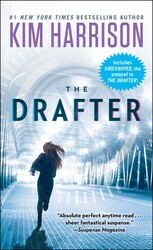 #1 New York Times bestselling author Kim Harrison knows a thing or two about writing–after all, she’s penned a massively bestselling series, and is about to follow up that success with the start of an all-new series, The Peri Reed Chronicles, with THE DRAFTER. So what does she compare writing to? Keep reading below to find out, and pre-order THE DRAFTER, out 9/1 from Gallery Books! 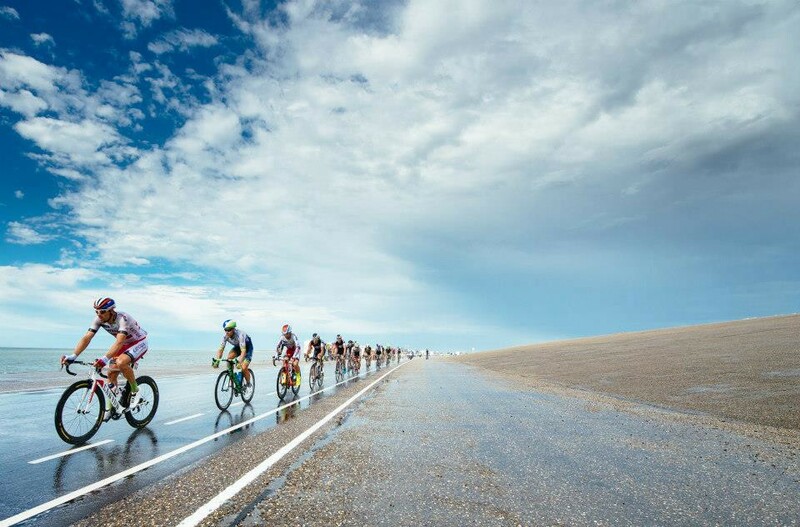 I lifted this picture from the Tour de France’s Facebook page today. If you’ve been lurking on my site for a while, you might know that Tim rides, and we watch the tour every year like some people watch March Madness. Three weeks of the drama of a sport set against French castles, Pyrenees mountains, and Dutch windmills, where if you get hurt, you don’t go to the locker room, but back on the bike to finish the race. Seriously. They get stitched back together while holding on to the med car at the back of the race, and finish in torn uniforms only to get up in the morning to do it again. Twenty-one days on a bike going about 100 miles a day. Why do I watch? I can sort of relate. This is a shot of the grand depart, which is the slow, utterly casual beginning of most day’s racing. You can see their helmets there, amid the cameras, almost 200 men, all of them knowing each other, their skills, their resources. All of them in competition for their niches of specialty of aggression, endurance, climbing, and sprinting, and the youngest rider who shows the most promise. There are teams, but it’s individual performance that counts. Everyone knows who the favorites are to win, but the rest are there, pouring an entire year of their life on the road, because life interferes, and chance sometimes smiles on the newbie, or innovative, or just plain lucky, and it’s beautiful to see someone rise from obscurity and show their skill and dedication to craft. It’s sort of like writing, where you prep for an entire year, but in reality, it’s a lifetime. You know everyone in your field, who the favorites are, and who’s likely to be on that New York Times, who the rising stars are, and the workhorses who are a sure bet. But we all work as hard as the writer next to us, getting stitched back together even as we hang at the back of the pack and try to keep up, traversing the same road, same ugly conditions, same breathtaking heights and lows, because life interferes, and chance sometimes smiles on the newbie, or innovative, or just plain lucky, and it’s beautiful to see someone rise from obscurity and show their skill and dedication to craft. 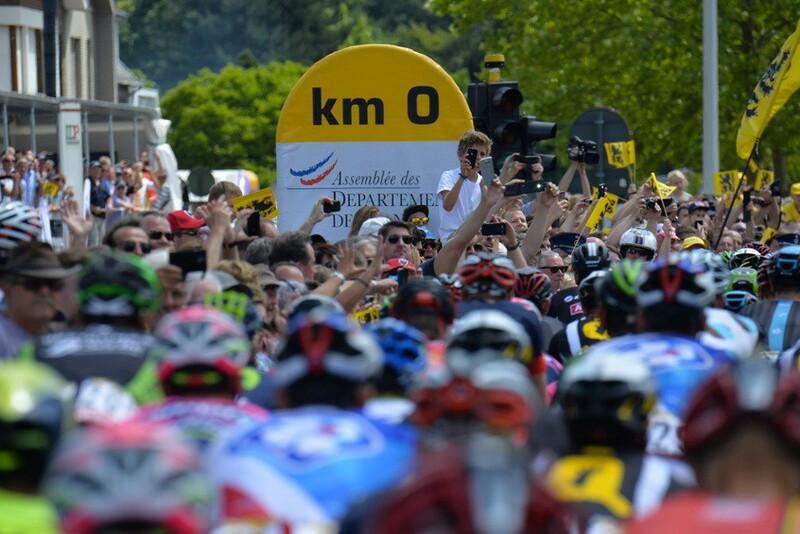 The Tour de France is a long, grueling mess where endurance as much as skill gets the participants to the end, and not all of them do. It’s sort of where I feel today as I start a new book in the Peri Reed Chronicles. Pick up the pencil, and go. See the original piece posted on Medium here. As a runner and aspiring writer, I can really picture this analogy. So true that it’s a lot of work with a lot of practice.